Joy in the Morning: Luck or Faith? This made me step back and look at what I was doing. 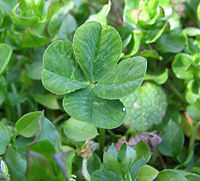 God was not squelching the joy of finding all those unusual clovers. However, he was using this situation to propose an important question. Did I want to build my life on Luck or Faith? Luck has to do with chance. It is the belief that inanimate objects like a rabbit’s foot, a special piece of clothing, or a lottery ticket have the power to bring about desired results. If ‘you’ do everything just right, the probabilities of the lucky object coming through for you will be better. There are sayings like “Wish me luck!” to help us feel like the deal is sealed. The underlying belief in all of this is that human reasoning and timing are more than enough. But the question still remains: Do these temporal objects/beliefs really have the power to create and give someone what they need at the right time? Faith, on the other hand, is a matter of trust. It compels us to focus on God’s power alone to work things out for our good. Faith teaches us to stay in God’s Presence until we receive the wisdom of what His will is in a situation. As we wait, we learn to trust His timing is perfect. God promises our faith is the guarantee we need to know what we asked for will come to pass. Why? Because we sought God first, came into agreement with His will and then asked according to that will without relying on our own selfish thoughts or desires. 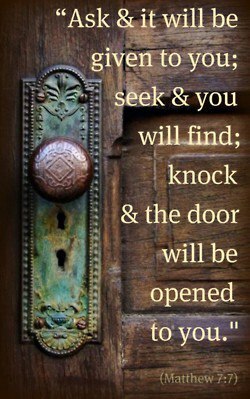 Intimacy with God is always the key to faith. 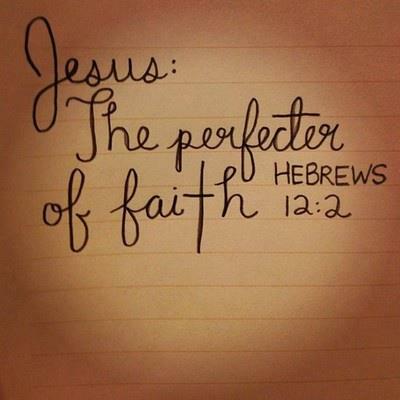 Remember…God is the author and finisher of our faith. 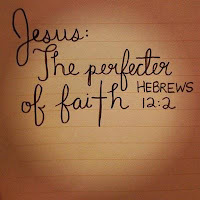 He gave us a portion of faith when we first believed in Him. Now God is guiding and developing our faith in each step of our way. So what will it be for you? Are you going to base you direction on luck or faith in the power of God? A variety of situations will fall on us throughout our lifetime. However, how we handle those circumstances is the key to lasting love and joy. So will it be "Good Luck or “Faith for your journey.” The choice is yours. Luck is hope without any substance. No evidence that what you desire will come to pass. Faith leads to a testimony of God’s faithfulness. Woo hoooo! You nailed this one. It may be one of your best. Love and blessings! Thanks so much Cathy. This is an important topic for Christians to think about. Sometimes it is more even more subtle then lucky objects so we need to stay alert to all the ways the enemy deceives us. I choose faith rather than luck!